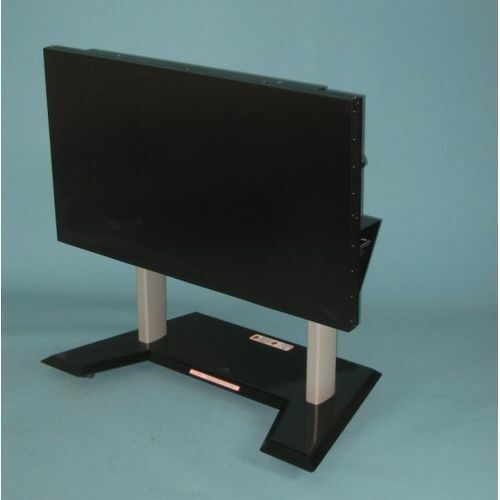 For most makes of Touch Screens suitable for this kind of application up to 65 inch and maximum 100kg weight. This trolley has up to 650mm of vertical Power Lift & programmable range of height adjustment for highest & lowest positions. Smooth, quiet & very progessive lift operation, with the additional benefit of allowing the screen to be positioned horizontally in a "Touch Table" position creating the ultimate Portable Touch Screen solution. 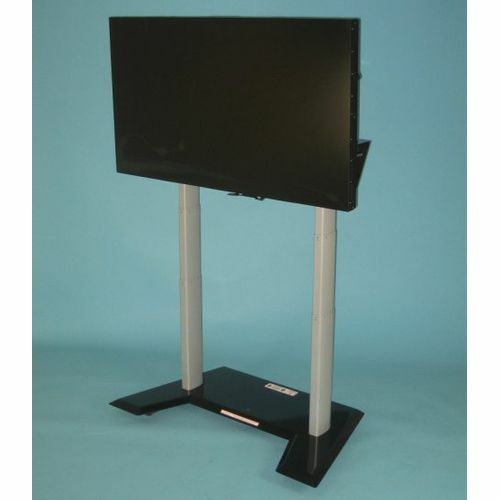 The distance from the floor to the rear mounting face of the screen when in its lowest setting horizontally is 700mm, so ideal for Touch Table applications for users of all ages. Also featuring locking front caster wheels, three metres of connection flex, power sockets for laptop & other input devices, operating button panel, vertical Anti Collision Feature and Stylish "Stealth" Base design which is ideal for wheel chair users. With the screen in its LOWEST position, the CENTRE point of the screen will be approximately 700mm from floor level. With the screen in its HIGHEST position, the CENTRE point of the screen will be approximately 1350mm from floor level. 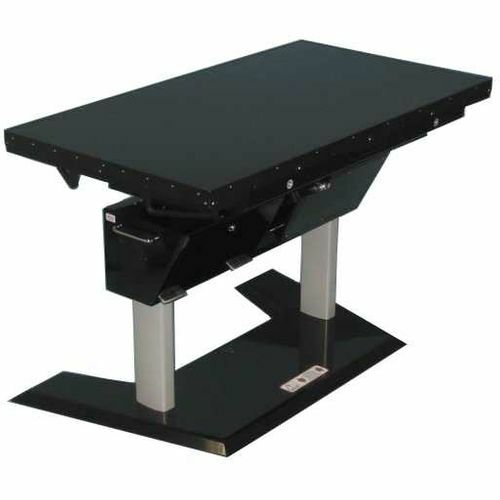 We can also supply this product WITHOUT caster wheels if required to serve as a more permanent solution. Finished in durable Black Powder Coat & supplied fully assembled on a pallet, with only the screen to install, so ready for use immediately. Optional remote control and or laptop shelf is available. This trolley is also available for larger screens, please phone for details.